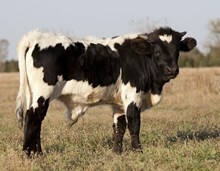 This cow has a really nice set of heavy horns that are starting to twist. 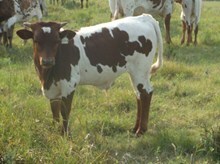 She produced a great looking bull calf this year from Sniper. He is going to be a nice one!